It won’t be news to anyone who is involved in retail that branding is one the most important part of your marketing activities. The importance of a strong, respected brand cannot be understated. Branding is the underlying foundation of your business, your activities and your reputation – or it should be! Branding is the essence of your business. It should capture your aim, objective, mission and values. The appearance of your brand is what makes your products and business memorable; a striking logo, clever name, catchy strap-line and interesting color scheme can make your products stand out from the crowd and may be one of the deciding factors when potential customers are choosing from a range of similar products, made by different companies. What does retail branding do for your business? One of the advantages of having a strong brand is that your business, products and company become are easily recognisable. Look at Sephora – The striking black and white color combination is unmistakable not only by fans of the brand but the casual shopper. The memorability of your brand is so important, because a customer, who has a great experience after using a product from that brand – e.g. 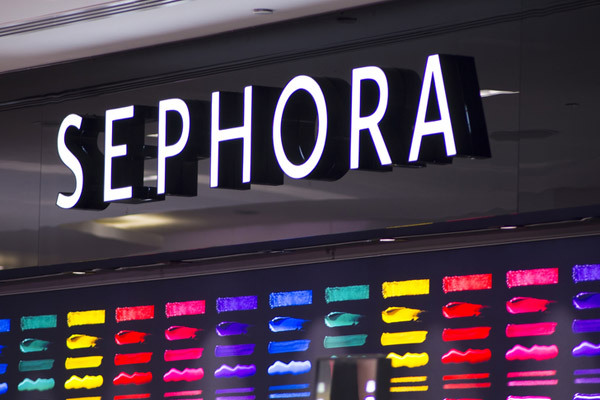 making a purchase in Sephora branch and loving the result, is more likely to buy another product from the brand in future, building trust in your brand. Once trust has started to form between a customer and a brand, the customer becomes less likely to buy products from other brands, as they know the standard and quality of your brand and customers really like predictability. What if we don’t have a retail brand or need to rebrand? That is where we can help! As one of the most important features of attracting and retaining customers, it is well worth investing in creating a strong brand identity and ensuring this is promoted and shared as widely as possible. At AGRetail we work with you to understand the message you want to covey and find the very best way to make it a reality. Talk to us today about retail brand creation, rebranding and ensuring a consistent promotion of your brand throughout your retail environment.